Cancer is defined as “any malignant growth or tumor caused by abnormal and uncontrolled cell division; more simply put “cancer begins when cells in a part of the body start to grow out of control”. 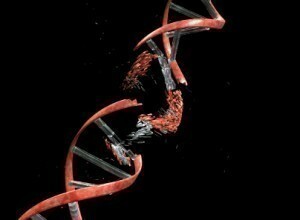 Cancer cells originate from damage to DNA; damaged DNA can be inherited or caused from other factors such as smoking. Damaged DNA can be repaired or the affected cells die, however, there are cases when the damaged cell does not die but continues to regenerate resulting in more damaged cells. Cancer will spread to other parts of the body through a process known as metastasis where the cancer cells invade other normal tissues by travelling through the blood streams and lymph vessels. Cancer is always named from the place of origin; the more common types of cancer are breast, prostate, skin, stomach, leukemia, lung and pancreatic. Acrylamide – The World Health Organization (WHO) states that certain foods may cause cancer. Acrylamide is an industrial chemical that can be found in certain food that are prepared at temperatures above 120 degrees Celsius (248 degrees Fahrenheit), for example potato chips and French fries. Acrylamide is formed from asparagine, an amino acid (found in proteins) when the asparagine is exposed to high cooking temperatures and longer cook times. It can also be found in certain vegetables. Exposure to certain levels of Acrylamide may be a risk factor for cancer, as studies done by the National Toxicology Program (NTP) and the International Agency for Research on Cancer consider Acrylamide to be a “probable human carcinogen”. Heterocyclic amines (HCAs) – Similar to the development of Acrylamide in other foods, Heterocyclic amines are present in certain meats that are cooked at high temperatures. HCAs are carcinogenic chemicals that from amino acids and creatine, when exposed to high cooking temperatures, this usually occurs in the preparation of muscle meats such as beef, pork, fish, and chicken. Research has shown an association between HCAs and specific types of cancers. 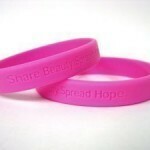 BRCA1 and BRCA2 are genes found on chromosomes 17 and 13 respectively; both genes help to suppress cell growth. Inheritance of mutations in either gene can lead to breast, ovarian, prostate and other cancer types. High levels of hormones in the body may lead to cancer as they can accelerate the growth and division process of normal cells, and prevent damaged cells from dying. The hormones found in women (oestrogen) at high levels are risks for ovarian and breast cancers and cancer of the womb. Testosterone found in men may lead to prostate cancer, and Insulin has been linked to cancer of the bowel, womb, pancreas and kidneys. 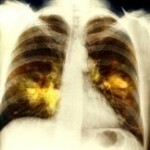 Tobacco is one of the leading causes of cancer and is highly linked to lung cancer. The National Cancer Institute in the US states that “Lung cancer is the leading cause of cancer death among both men and women in the United States, with 90 percent of lung cancer deaths among men and approximately 80 percent of lung cancer deaths among women attributed to smoking”. Tobacco contains a number of cancerous substances including tar, arsenic, benzene, cadmium, chromium and acrolein, which may cause DNA damage and alter genes. Smoking also increases the risk of cancers of the throat, mouth, pancreas, kidney, bladder, and cervix.